Anyone live near a active quarry? Anyone built the Stockton through hotondo? How do you get into the laundry? Through the pantry? Could you put a door off the hallway instead? Or did you request it that way? 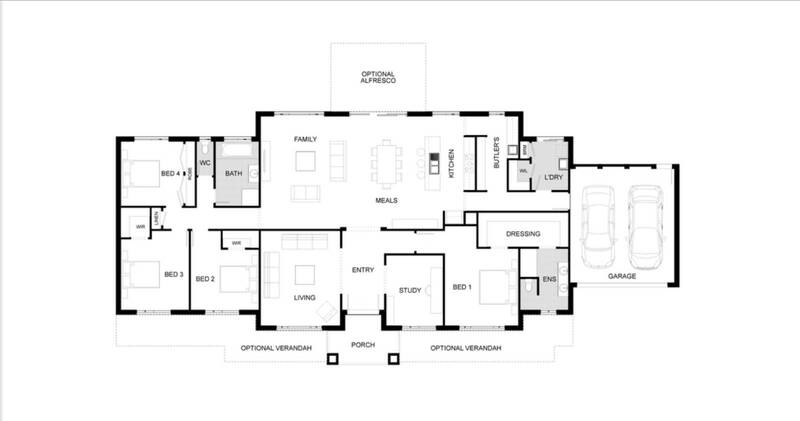 I really like how the bedrooms are away from the kitchen, garage and laundry. We are looking for something where the bedrooms are away. Anyone who has or are building through JG king Homes. What are their standard colour choices like? Do they have much of a range. Did you upgrade? Buy land on high or low side of street? We are looking at purchasing a 5 acre block. Looking at possibly building through a custom builder. What did you pay to get plans done? We are considering building on acreage and building on stumps maybe a option. Has anyone built a brick home on stumps recently? Can you post a photo of the outside? Ducted reverse cycle air con, is it worth it? We have a split system in our current house... which is approx 24 squares & it doesn't reach our bedroom. Don't really want to put another one in this house. We are weighing up costs as we are wanting to build our forever home. Anyone building Pemberton JG King? Are you able to list you colours if you have them? It looks great! I love your colours!!! Is this the federation facade? We are looking a purchasing land within the area. Would love to see your pics and hear your experiences. What upgrades did you get and did you make any changes to the floorplan? Has anyone installed a solot powered gate kit? What are your thoughts on them? Are they worth it? Has anyone done a extension on a steel framed house? Whats involved? Is it more expensive then a timber frame extension? What are the people called who complete them? Anyone building in Kinglake West VIC? We are currently considering purchasing land to build our family home in Kinglake West. We are looking at this floorplan but smaller version Pemberton 300. Im just wanting a estimated cost to install vinyl plank flooring so i know im not getting ripped off. Does anyone know a cost per metre? Anyone building the Kimberley through Dennis Family? Is anyone building or have built the kimberley through dennis family homes? If so please post some photos!